Manama, Oct. 9 (BNA): His Highness Shaikh Khalid bin Hamad Al Khalifa, First Deputy Chairman of the Supreme Council for Youth and Sports, Honorary President of the Bahrain Mixed Martial Arts Federation (BMMAF), and Chairman of the High Organising Committee of BRAVE International Combat Week directed free crowd entry to attend the 5th edition of the IMMAF World Championships, which will be held within the BRAVE International Combat Week between 11-18 November at the Khalifa Sports City Hall. This came while chairing the meeting of the High Organising Committee of BRAVE International Combat Week on Tuesday morning, 9 October, at the meeting hall in Al-Wadi Palace. HH welcomed the members of the committee and stressed efforts to prepare for the 2nd BRAVE International Combat Week which will feature two events: the 5th edition of the IMMAF World Championships and the 18th edition of the BRAVE Championship. HH Shaikh Khalid bin Hamad Al Khalifa was briefed by the member of Bahrain Olympic Committee (BOC), President of BMMAF, Chairman of the Executive Committee of BRAVE, Khalid Abdulaziz Al-Khayyat, on the steps taken by the committee towards forming the working committees, finalising visions and commencing preparations. 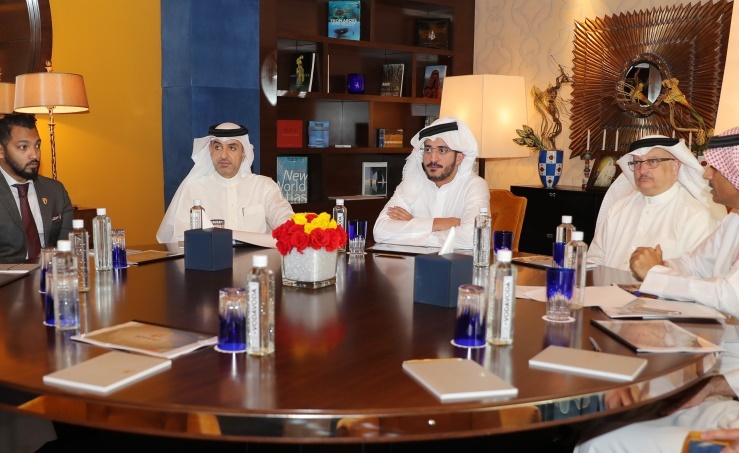 Moreover, HH Shaikh Khalid stressed the need to increase the pace of preparations to achieve optimal readiness before the start of the events and competitions of this global sports forum. HH said, "We congratulate the efforts of all members of the High Organising Committee and commend the efforts of the Executive Committee in formulating the time plan to launch preparations for this international sports event, which is hosted by the Kingdom of Bahrain for the second consecutive time following the success of the first edition last year, which earned Bahrain the confidence of the International Mixed Martial Arts Federation to host the 5th and 6th editions of the 2018 and 2019 World Championships." HH added, "All of this confirms the Kingdom's status at the sports level, thanks to the support of His Majesty King Hamad bin Isa Al Khalifa for sports and athletes, which has left a positive impact on Bahrain’s position in the sports arena, garnering results and honourable achievements in various continental and international tournaments and forums." HH continued, "The follow up and efforts of my brother, His Highness Shaikh Nasser bin Hamad Al Khalifa, Representative of His Majesty the King for Charity Works and Youth Affairs, Chairman of the Supreme Council for Youth and Sports, President of Bahrain Olympic Committee, have contributed to Bahrain’s progress in MMA sport, through which it has become a strong competitor to countries that preceded us in this sport."